Utilizing our knowledge and expertise gained over the years, we are able to keep up with the dynamic requirements of the customers. 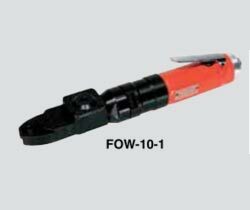 As a Supplier, Exporter and Importer of Fuji Open End Wrench, we provide the absolute quality to our customers. These open-end wrenches have been designed for convenience in tightening pipes and tube nuts, which is difficult with ordinary wrenches. It is ensured by procuring them from reliable vendors. Lay your hands on supreme quality for economical rates.